Rim Rock Lodge is the oldest continuously operating seasonal resort in the Northern Black Hills. Historic on the outside, new on the inside, it is your ideal basecamp for hiking, biking, fishing, sightseeing and relaxing! The Canyon Bistro offers lite bites, wine, beer and non-alcoholic refreshments. We provide “on sale" and “off sale" of beer and wine. 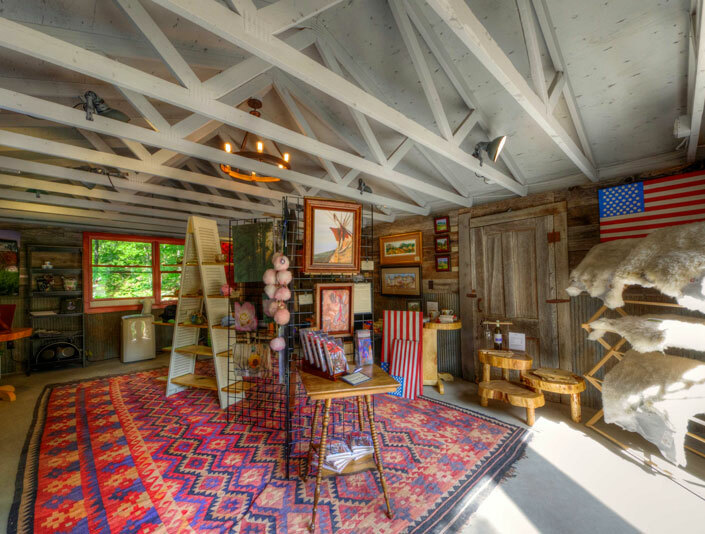 Our gallery features local artists as well as unique furnishings and gifts. We are open to the public every day except Monday from 11:30am – 6:30pm. Come visit us and enjoy the beauty of Spearfish Canyon. 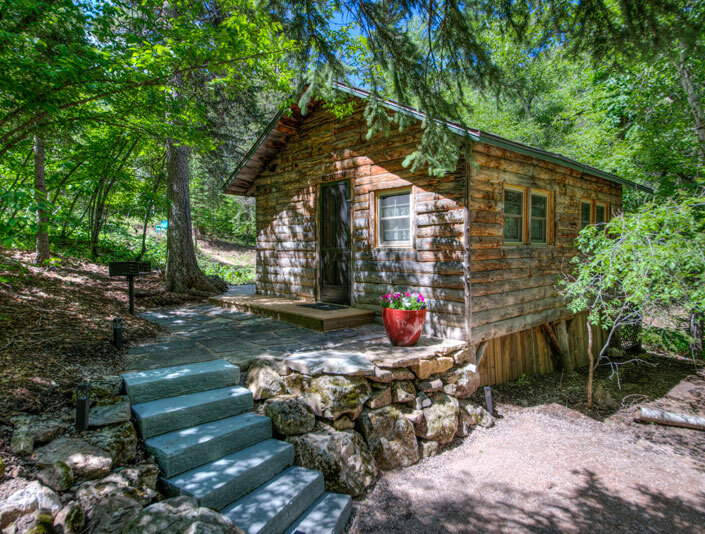 In 1919, Marcus Edgerton, the first clothier in Spearfish and a gold prospector with mining claims in Spearfish Canyon, built a one-room cabin nestled in the woods above Spearfish Creek. This cabin, which has been restored recently, now serves as our Lobby and event facility. In 1932, Margaret Bridge, Dean of Women at Black Hills Normal College (now Black Hills State University), secured a land lease from Homestake Mining Company. In 1934, she opened Rim Rock Lodge as a seasonal resort. She built a beautiful hunting lodge (that was lost to a fire in 1979), the two cabins that overhang the Canyon (the Spruce and Pine), and several other of the cabins present today. While owner of Rim Rock Lodge, Margaret Bridge opened the first summer camp for Boys and Girls in South Dakota, using the property to enable countless children to experience and learn about nature, their surroundings and the history of the area. She also hosted social events, particularly enjoying her parties for ladies 80 years old and older; welcomed visitors from around the country; and actively supported a multitude of cultural and philanthropic events and pursuits. Throughout its long history, Rim Rock has been a place where people can kick up their feet, take a break, enjoy the spectacular scenery, have an adventure, and enjoy a good laugh or two. We invite you to join us this summer for your own adventure.